My typical morning routine is this: I get up out of bed, head to the kitchen to make coffee, and then take my warm brew into the office to more fully wake staring at the computer screen. Lately, I get right into projects I’ve been working on. This morning, on my way back to the kitchen for a second cup, I peeked into the bedroom to see if Cali (my cat) had gone back to bed. That’s when I noticed it. My bed looked like a battlefield. I can hear my father’s voice from childhood asking if a tornado rolled through there – Pat Benatar playing in the background. Last night was indeed a battle. After one particular scuffle, I felt as if I had been wrestling a large, cushy, heat-emitting beast: namely my comforter. Living in Texas can be a challenge. The temps swing so much this time of year that we vacillate through winter, spring, and summer (well not our summer – but a summer). Last night wasn’t overly warm, but far too mild for that super warm, overly fluffy comforter. But the night’s battles weren’t just about heat. Every time I woke, I was fiercely working through something. Since my recent projects are astrology related, that’s what seeps into my dreams. It was mostly Jupiter and Mars this time around. So let me ask, how many of you had a fitful night of sleep last night? Given that Mars has ingressed Pisces, will imminently join Neptune, and is trine to moon in Scorpio, sleep is most definitely a battlefield. I am sure many of us are fighting formidable foe in slumber land. As of right now, we have three planets in each of three signs, Pisces, Aquarius, and Scorpio. Pisces and Scorpio have a Trine connection (120 degrees), an element connection (water), and are psychically linked. Aquarius and Scorpio have a square connection (90 degrees) and a cardinal connection (both fixed). And among the nine planets mentioned above, three are at 0 degrees, one in each of the signs mentioned. To me, all of this is a perfectly laid dreamscape for archetypal war. And I’m sure some of these dreams are better than Hollywood can produce as movies. Enjoy the play and the production while it lasts because soon, we’ll be loading up on a bit more water. 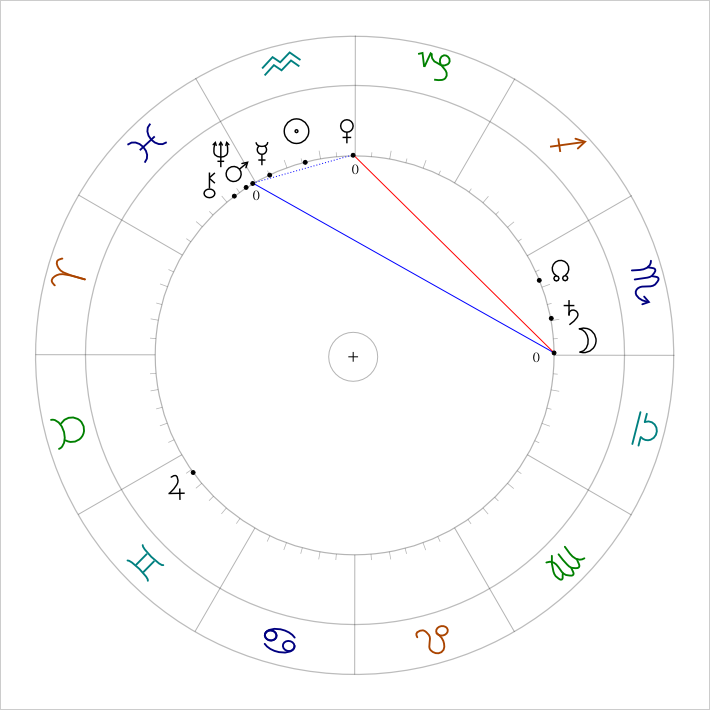 Mercury whisks into Pisces on Tuesday, 2/5/13 and then stations retrograde on Friday, 2/22/13. For nearly a month, Mercury will backstroke until he stations direct on Sunday, 3/17/13. He will not emerge from the sea until Saturday, 4/13/13. That’s over two months of swimming for the little whippersnapper. And since his station direct last Wednesday, 1/30/13, Jupiter has only moved forward one arc minute. The big boy needs a little time to shift his weight. He’s definitely more of an offensive guard than a tight end. However, like a guard, when he starts pushing on you, you feel it. And to me, the effects of his change in direction are apparent all around me. This week, it’s been nothing but forward ho. Lots of endeavors set in motion a long time ago are decidedly progressing now, even if fitfully. By the time Mercury whips into reverse, Jupiter will be chugging along. That could mean that we’ll still be moving forward despite having to tidy up all of the karmic crumbs we’ve left behind in recent years. The whole time Mercury swims in mutable water (Pisces), Jupiter will float along in mutable air (Gemini). Since Jupiter is the traditional ruler of Pisces, that’s a mutual reception relationship – each enabling, supporting, and empowering the other. To me, this sounds very productive and I for one am all for it. Jupiter has been transiting Gemini for a long time. Since this is his last push forward (through Tuesday, 6/25/13), whatever gifts he has yet to give, will be offered before then. The imagery that pops into mind is something I recently experienced. Since moving to Austin in 2007, I neglected to unpack a pair of boxes that have been occupying closet space ever since. In this house, one box sat en route to my laundry baskets in my bedroom walk-in. Every time I did laundry, I had to squeeze past that box and every time, I questioned when I was going to deal with it. Well, last month, I finally did and now every time I head into the walk-in, I appreciate the ease and the added space. Why I wait so long to do simple things like this, I’ll never know. If you have some lump of crap sitting in your way, Mercury and Jupiter are here to help – the fastest planet, and the biggest. I have a feeling they’ll be a very effective team. I wouldn’t want to tackle Jupiter or out run Mercury in a football game, so I think I’ll just go along with them and see how it goes. What do you think?